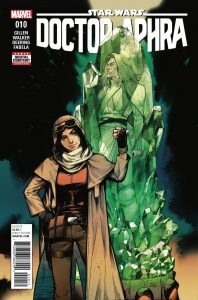 Doctor Aphra is fast becoming one of my favourite Star Wars titles as her own book carries on apace with a second volume – Doctor Aphra and the Enormous Profit – that picks up in the aftermath of the mayhem that was The Screaming Citadel caper landing on my doormat. A roguish space ship flying lady version of Indiana Jones for the Star Wars galaxy, our heroine is in possession of an ancient Jedi artefact and is quite happy to sell it to the highest bidder as she wraps herself up in a short dress, heels, lippy, mask and hosts an auction that attracts the scum of the universe to her corner of space. Rhodians, Hutts, the lot … every morally bankrupt toe rag around is flying in to see what all the fuss is about … even the Xonti Brothers who great hulking Wookie Black Krrsantan has a long standing grudge against. That’s before we even mention the droid double act of BT-1 and 000 whose moral compass is somewhat off centre. That Aphra lass will never learn will she? Of course it all goes south and it’s not long before everyone’s legging it around and things kick off. There’s something that is quintessentially Star Wars about the (not really) good Doc. Proper Han Solo meets Tank Girl via Indy with a shadow of a certain Catwoman looming. 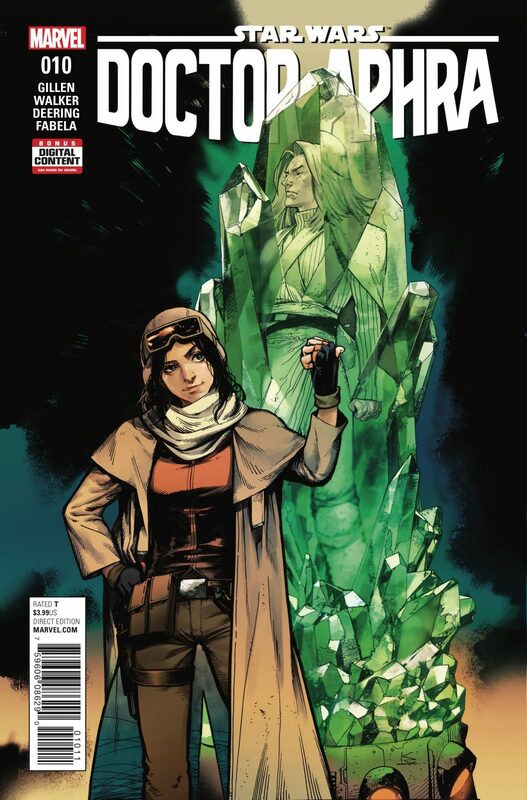 Resplendent in flight helmet and goggles, Aphra even appears conflicted at one point, as a certain Corellian smuggler was once, between bagging loot while looking after number one, or doing the right thing. Honestly she is desperate for anyone to convince her to do the right thing as, well you know, otherwise she just can’t help herself.